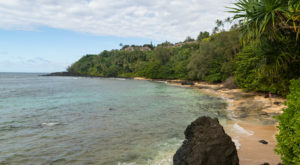 Nestled between the West Maui mountains and the shimmering Pacific on the northwestern shore of Maui, Lahaina is one of Hawaii’s greatest seaside towns and the original seat of Hawaiian royalty. 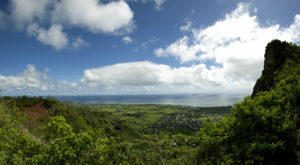 The town was often considered Kamehameha the Great’s historically famous “royalty playground,” and is now full of old world architecture from the town’s plantation era. 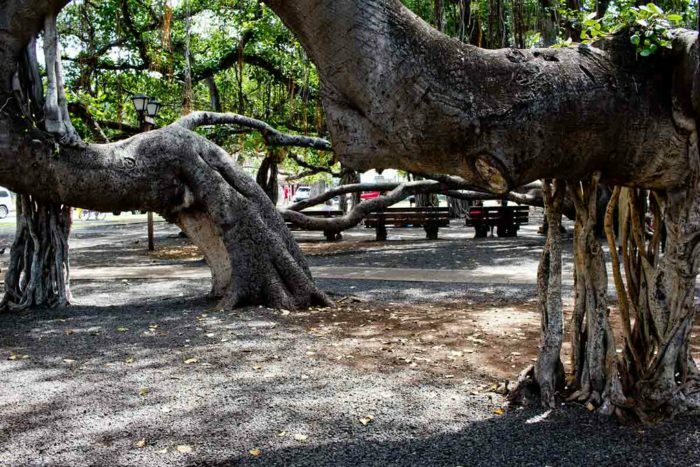 It is also home to several incredible historic landmarks, including the most famous tree in the Aloha State. 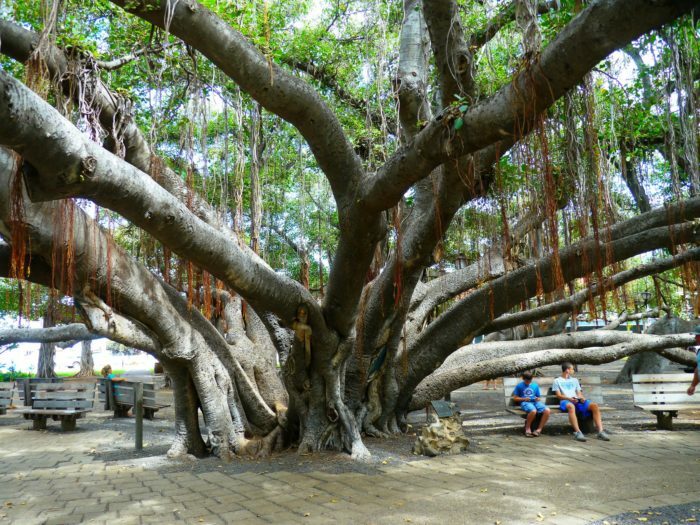 Nestled in the heart of Lahaina in what is now known as Banyan Tree Court, this jaw-dropping tree is not only the oldest banyan tree in Hawaii but a historic landmark sure to leave you speechless. 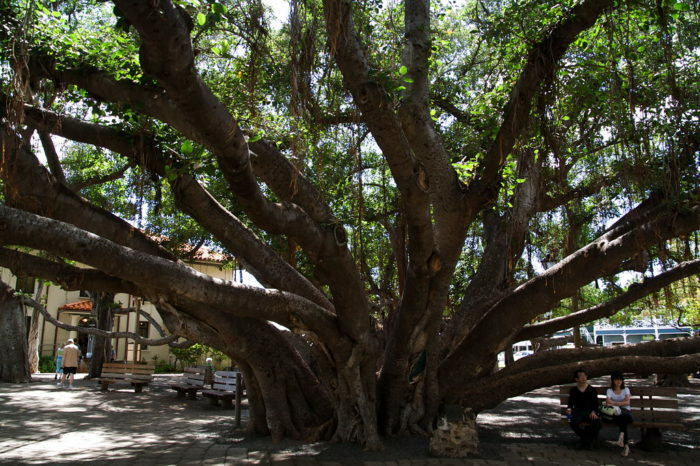 The banyan was planted by the then sheriff of Lahaina, William Owen Smith on Apri 24, 1873 to mark the 50th anniversary of the arrival of the first American Protestant mission in Hawaii, which had been invited to Maui by Queen Keopuolani, the wife of the late King Kamehameha. 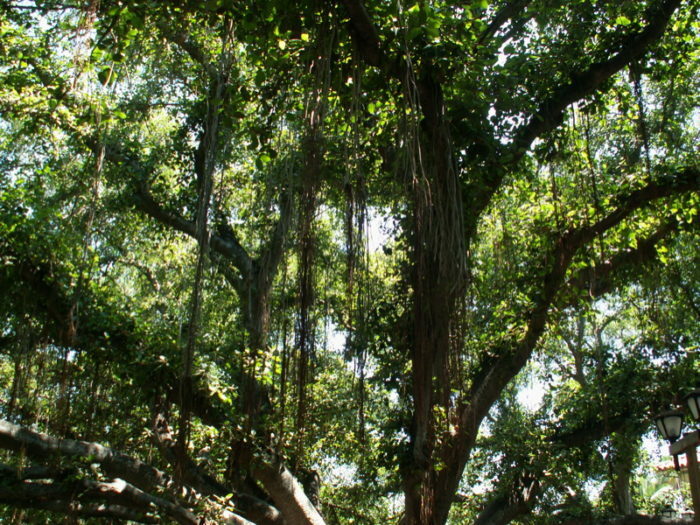 Just eight feet tall when it was planted, the tree slowly sent branches outward from its trunk, from which a series of aerial roots descended towards the ground. These roots touched the ground and dug in, eventually become trunks themselves. 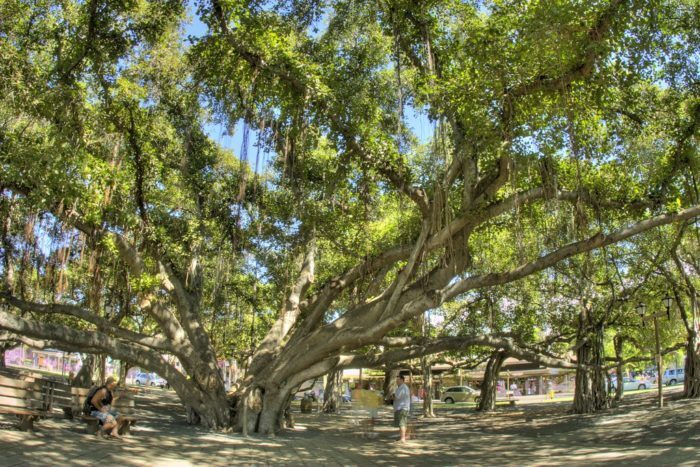 Lahaina residents have, over the years, encouraged the banyan’s symmetrical growth by hanging large glass jars filled with water on the aerial roots they hoped would turn into trunks. It worked, and this monumental behemoth now measures in at more than 60 feet tall with 16 major trunks apart from the main trunk. 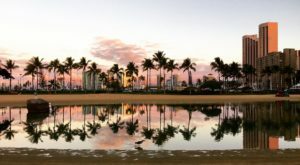 Its canopy has spread over an area of approximately 0.66 acres, and it is not only the largest banyan tree in the Aloha State but also America. It’s even thought to be one of the world’s largest as well. 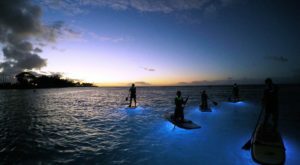 The massive tree now has a circumference of approximately one-quarter of a mile, and it is thought that approximately 1,000 people could congregate under it. 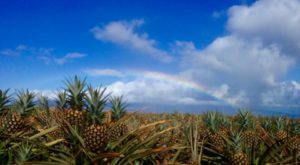 According to historical reports, It is here that King Kamehameha III’s birthday was celebrated in 1886 with a royal ball. Over time, Banyan Tree Court has become a tourist attraction as well as the setting for a variety of events throughout the year, including an annual Christmas celebration and a variety of live performances. 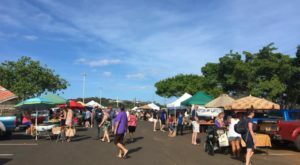 On the weekends, local artists and crafters set up tables and booths to display and sell their creations. 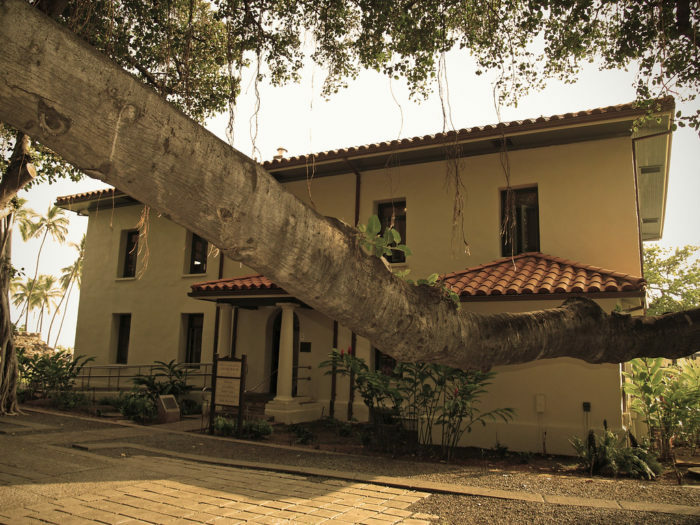 The 1.94-acre Lahaina Banyan Court is home to the old Lahaina Fort and is surrounded by a variety of unique historic sites, including the Lahaina Courthouse, pictured below, which dates back to 1859. 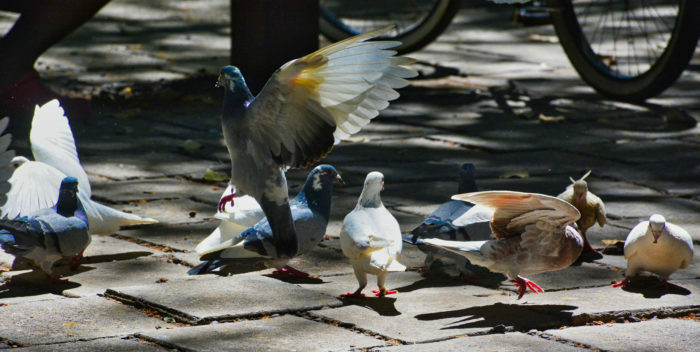 If you can, we suggest visiting at sunset, when common myna birds roost in the branches of the tree, causing a cacophony of bird cries as the sun slips below the horizon. With benches scattered under the large canopy, there’s no better place to relax after a long day of sightseeing and shopping in this charming little seaside town. 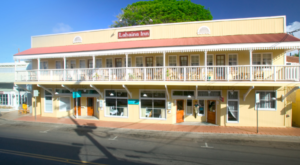 671 Front St., Lahaina, HI 96761, and is open daily from 7 a.m. to 7 p.m. Have you witnessed the beauty of this gentle giant for yourself? Share your experiences and opinions in the comments below. 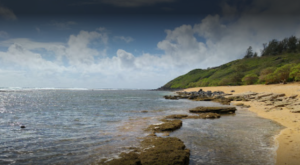 Then, if you’re interested in learning about another fascinating tree in Hawaii, click here. It’s worth nearly half a million dollars, and you’ll never believe why!